One, they are looking for food. Two, they're making a nest. Three, they're establishing and defining their territory. It's usually the third reason that creates most damage. Woodpeckers are very territorial. In order to let other woodpeckers know - this is his (or in some cases her) territory, they fly around the perimeter of their domain, usually in the morning, and initiate a series of raps on hollow trees or any other cladding that creates the right sound. And for those of us in the industry – we know that EPS apparently has just the "Right Tone". This behavior is called "drumming" and consists of two or three long brrrrrrrrrrrps. The woodpecker will typically drum in one spot for a minute or so, day after day. It does not take long before a large, irregular hole appears at the drumming site. If the site is EIFS or EPS, it not only becomes a real eyesore it can also create problems with system integrity and water penetration. When a woodpecker is looking for grubs it acts differently and makes small cone shape or a long gallery of holes. If you ever see a woodpecker searching for insects, it will constantly turn its head as if looking for something on the surface. It is actuality listening for grubs feeding in the wall. Then it only makes a hole large enough for its long, thin tongue to catch the bugs. The holes woodpeckers create searching for food are usually less than inch in diameter. A woodpecker will occasionally attempt to excavate out a round nesting hole in the wall, but it's rare and if the wood or surface is solid they usually they give up after a day or two. 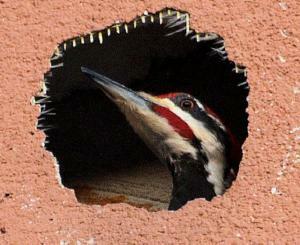 However, Woodpeckers seem to love foam insulation for a nesting site. And what's worst, even if they peck a small hole and leave, other birds will take advantage of the destroyed lamina and the next thing you know – babies are living in the walls. Attempts to discourage the onslaught by woodpeckers are almost humorous - plastic owls, rubber snakes, metal window screen, Mylar strips, unsightly bird netting, even trapping and releasing woodpeckers doesn't do much good. Unless you release them several miles away, they'll just fly back to their own territory within a day or two. As far as the government is concerned, woodpeckers are classified as migratory, nongame birds and are protected by Federal Migratory Bird Treaty Act. You can only exercise lethal control or nest destruction with a special permit issued by the Law Enforcement Division of the US Fish and Wildlife Service, upon recommendation of USDA-APHIS-Wildlife Services personnel. Not likely!!! Finally a technology in bird deterrents that is reasonably effective. “BeakGuard” is a new “Patent Pending” concept incorporating a blend of ingredients that offer safe and comparatively effective protection from woodpeckers. These compounds immediately communicate a warning signal to the birds, prompting them to find a more desirable location. In fact, humans and animals are very sensitive to these components. For example - taste testing has determined that people can detect our ingredients in water at 50 parts per billion. BeakGuard is a Breathable Elastomeric Acrylic Finish formulated to apply like standard latex paint. Performance on the other hand far exceeds your typical latex product. BeakGuard offers outstanding coating durability, extended service life, provides maximum dirt pick-up resistance and weatherability in a vapor permeable, flexible membrane with exceptional color retention. Although specifically formulated for EIFS and existing acrylic finishes, BeakGuard® is easily applied to virtually any exterior surface including wood, fiber-cement, stucco, aluminum or vinyl. 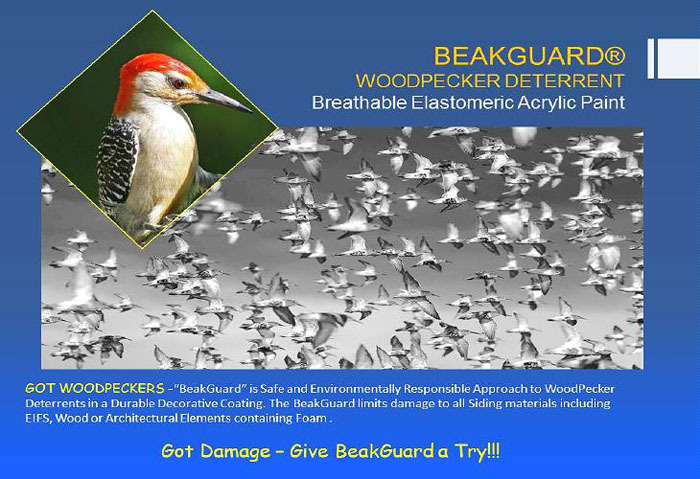 BeakGuard will not harm woodpeckers or any other bird species. The ingredients in BeakGuard are found in many consumer products on the market today – even nail biting and thumb sucking deterrents for children incorporate this technology. The National Safety Council and American Medical Association recommend similar agents be used, along with other safety measures, in products defined as mild to moderately toxic. 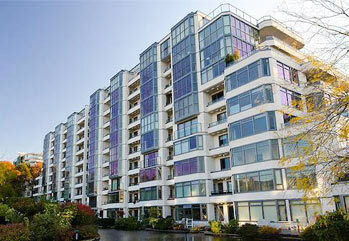 A remodeled office building outside of Seattle, Washington with large EIFS cornices was assaulted by woodpeckers every season. Some years the drumming resulted in more than ten holes around the building. To make matters worse, many of those holes became nesting sites for smaller birds that hatched young inside the walls adding to the damage. And every year the owner paid to have these holes filled with spray foam, sanded, base coated with mesh and refinished in an attempt to blend the damaged areas with adjacent walls. Year after year! Two years ago out of frustration the owner coated every linear foot of cornice and all other architecture elements on the façade with BeakGuard. Since that day not a single woodpecker has damaged the building. Not only did BeakGuard enhance the property by creating a bright new look, it appears the problem has been resolved and the birds are off to other locations. Another client complained a woodpecker was drumming directly outside his bedroom window at 6:00 AM sharp everyday. 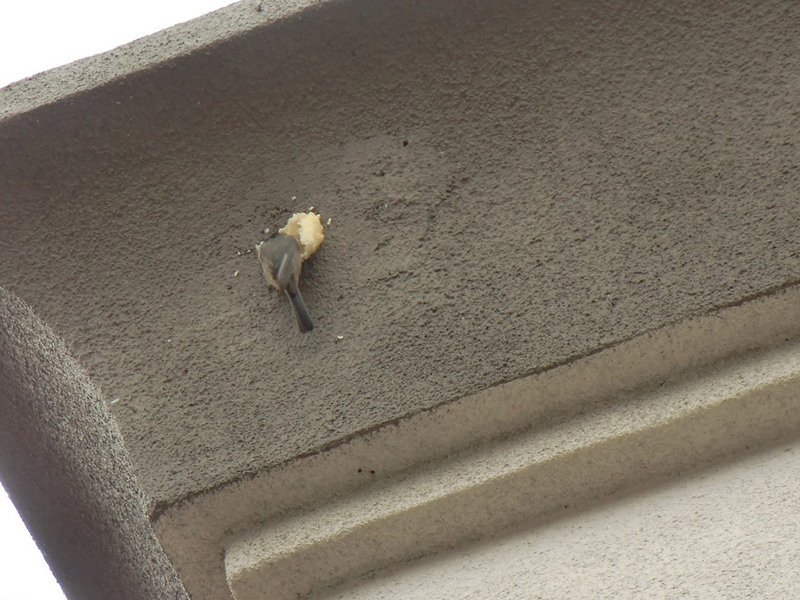 Not only a problem because it woke his wife and children every morning – this bird was attacking a fascia board at the apex of the roofline about 27 feet off the ground. Not an area you want to frequent too often. After renting the extension ladder, BeakGuard was applied directly over the small holes and damage caused by this bird. Not having the highest level of confidence in this miracle product, he set his alarm for 5:45 AM. In the dim morning light - he just shook his head as that darn bird landed in the same exact spot as yesterday. Ironically, the bird cocked his head back and forth a few times, pecked once and flew away. The woodpeckers still frequent his backyard but not a single bird has pecked in the area coated with BeakGuard®. Is BeakGuard the absolute answer to all woodpecker damage in America – probably not. But if you want to enhance the appearance and extend the service life of your building while drastically reducing the risk of woodpecker damage in an environmentally friendly way - you need to consider this unique coating system as an option in deterrents.